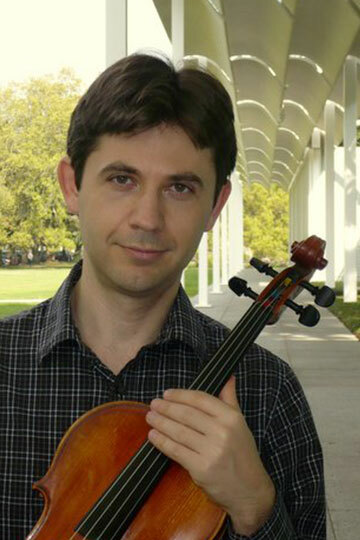 Lorento Golofeev is a member of both Houston Grand Opera and Houston Ballet orchestras, where he holds the position of Assistant Principal Viola. In addition, he is a member of the River Oaks Chamber Orchestra. Mr. Golofeev maintains an active teaching career, both at his private studio and at the American Festival for the Arts, which is held every summer in Houston for middle and high school students. Lorento started his musical career at the age of 5 in Chisinau, Republic of Moldova. As a student he developed an interest in music composition, which resulted in two 1st place prizes and one 2nd place prize at the National Competition for Young Composers. However, later Lorento decided to concentrate solely on studying viola. Before coming to the United States, he worked in Moldova in National Philharmonic Orchestra, National Chamber Orchestra and Moldavian Opera and Ballet Theatre, with whom he toured all over Europe.